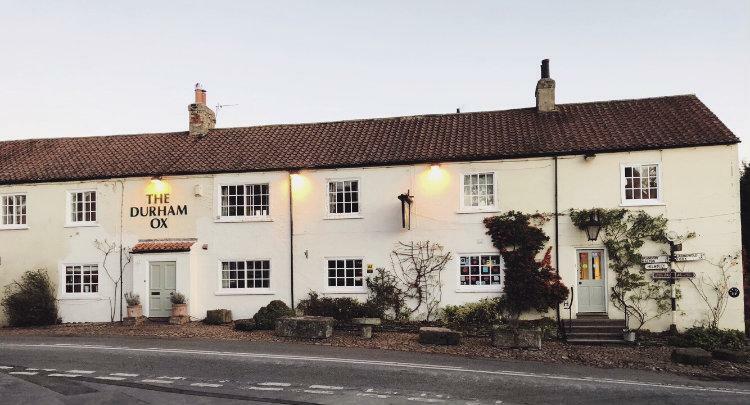 Relaxing in a traditional country pub set in beautiful scenery is the most perfect way to spend a few days away from the stresses and strains of everyday life. Imagine yourself with your loved one, enjoying delicious food, warming yourself in front of a roaring log fire. After a nightcap or a warming hot drink, think how lovely it would be to walk a few yards to a luxurious room with the comfiest bed ever, ensuring you have a good nights sleep. The next morning as you head for a hearty, mouthwatering breakfast, you cannot help but be overwhelmed by the stunning view of the Yorkshire countryside that surrounds you. A carpet of green fields stretches out all the way to York and beyond. You can even see the majestic towers of York Minster! It all sounds too good to be true ? Well, I experienced this recently and I can honestly say it really was that good ! So where was I? Read on for my account of this treasure of a place located not far from where I live in North Yorkshire…… follow link to Susanna’s blog to read more…….